Only eight national teams remain, but who will make it to the top three? 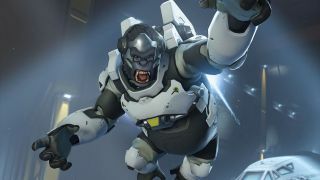 The group stage is over and the top eight teams (or rather top two from each group) are preparing for the Overwatch World Cup playoffs. Over the first three days we got to see a number of interesting storylines develop. The first is South Korea’s unorthodox hero compositions, which have sparked a debate among fans. Have South Korea made Symmetra, Junkrat and Torbjörn viable in high level competitive Overwatch? Based on the fact that they were miles ahead of their opponents in group C in terms of skill and teamwork (except Finland but that match didn’t matter as both teams would go through anyway) I’d say this remains an open question that might get an answer as the tournament progresses. The next one is Spain’s surprising win against Sweden where they bested my previous favorites to win the tournament in a convincing fashion. Again, it was in the concluding match of the group and both teams had already secured their spot in the playoffs. It will, however, be interesting to follow Spain as they progress. Are we looking at a potential dark horse that could make it into the top four? And finally we have team USA. They’re going to be fighting in front of a home crowd. Will the pressure be too much for them, or will we see an energized team play their hearts out trying to stay alive in the hardest side of the bracket? Russia went 3-0 in their group (6-1 map differential) and looked stronger than I thought they would. Before the tournament I said that ShaDowBurn’s Genji would be crucial for them to get out of the group. He showed up and Russia managed to set him up for a lot of big plays. Impressive stuff. Interestingly enough they were in the same group as team USA who found themselves in a similar situation with Seagull’s Genji. Unfortunately Germany underperformed and couldn’t reach the level I thought they would. Russia was the clear cut number one in the group but the playoffs will be much more challenging. France went 2-1 (6-4) in group D—the same score as China and Thailand. The group had to be decided through a round robin tie break on Nepal that saw France and China go through. France only has three pro players on their team and they didn’t look too convincing in the group stage. I expect Russia to win this one. Spain has been interesting to follow. They upset Sweden in the group stage and looked incredibly strong. They won their group with a 3-0 (6-2) score. They don’t have anything to lose. A win here would be huge and I don’t think it’s impossible. Finland had to play South Korea in the group stage. Fortunately they managed to take down both Taiwan and Australia before falling to a South Korea that looked really strong. Finland is famous for running tank-heavy hero compositions. Spain will have to deal with Finland’s sustainability and at the same time avoid Kalle ‘Hymzi’ Honkala’s Roadhog hooks. Even if I consider Sweden to be a stronger team than Finland I think Spain will have a harder time to adapt against Finland’s unique style. Finland should beat Spain but Spain has shown that they can play at a high level. Everybody's expecting Overwatch's new hero, Sombra, to be revealed during Blizzcon. Here's the latest on the leaks and rumours. South Korea was the only team in the group stage to go through without losing a single map. That in itself doesn’t speak volumes as the only real competition was the match against Finland. With that said I will have to update my prediction that I had going into the tournament. I had South Korea in my top three but I said I thought Sweden will win. Now I think Sweden is the second best team. South Korea are the most creative team in the tournament and their teamwork is at a whole other level compared to the other top teams. For those reasons I think they’ll win the Overwatch World Cup. USA placed second after Russia in group B. At times they looked pretty strong (Seagull in particular) but that was against far easier opponents than South Korea. I think South Korea will be prepared for Seagull but I don’t think USA can be as prepared for what South Korea might bring to the table. Teams have had a couple of days to scout their opponents but because South Korea used so many different and unorthodox hero compositions I’m not sure it’s even possible to come prepared for them. China went 2-1 before defeating both France and Thailand in the round robin tiebreaker in group D. They lost to France the first time the teams faced off against each other. China would have avoided the tiebreak situation had they won so there’s no reason to think they didn’t give it their all. That tells me they’re not strong enough to take down a team of Sweden’s caliber. Sweden started out strong with two decisive wins against Brazil and Canada before eventually falling short against Spain. Despite that loss Sweden showed that their communication and shot calling is on point. When Brazil tried a creative flank on the first checkpoint on Dorado with Pharah, Mercy and Genji going around the back Sweden noticed that people were missing so they immediately went in and crushed the frontline. China won’t be able to outsmart Sweden and Sweden has more firepower. Sweden will win this one. Now that we have the playoff brackets it’s easier to predict what teams will finish in the top three. Because it’s pure speculation at this point I won’t go into too much detail. Finland will beat Russia in the first semi final and South Korea will beat Sweden. I think Sweden will be able to best Russia and claim the bronze medal. In the grand final I think South Korea will come out on top.That leaves us with this top three: South Korea, Finland, Sweden. Check back after the grand finals to find out if I'm right, as well as highlights from the Overwatch clash of the year.